Of course there is another kind of England that isn’t much connected to the natural world, in fact I recently read an article in the National Trust magazine discussing “nature deprivation syndrome” (yes a real term) in children. Governments are promoting “green exercise ” programmes for children and families. At the weekend I caught the fast train from Ashford International to London. 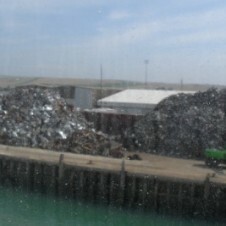 If I had made my usual mistake of heading off in the wrong direction I would have gone to France ! 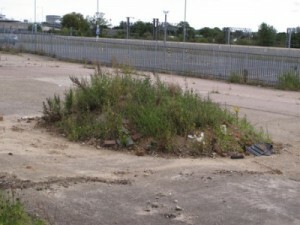 Ashford, in anticipation of being on the international line, began a programme of upgrading and developing the old rail yards near the centre of town. They have run out of money and there is a an air of dereliction near the new station which is possibly symptomatic of the times. To be fair though there is a beautiful park near the church which was well used by young people deep in conversation on their phones. 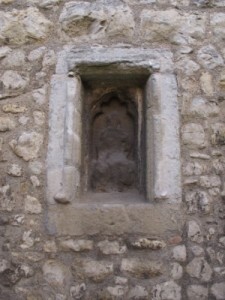 And the church itself had this worn old madonna in a niche on one wall, many petitioners have come to see her. 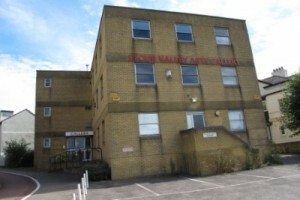 Stour Valley Arts have moved to Ashford to a very spacious premises and with a Gallery which is very well equipped and managed. London has wonderful green lungs especially in the more affluent areas. 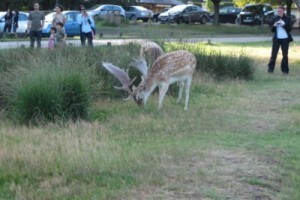 And on of the the most wonderful is Richmond Park, complete with spotted Fallow Deer, quite unfazed by the attention of an adoring fan club ! And now – back to business and back to the Wood, again.